Thank you to everyone that applied. Also thank you to Jordan Leopold, Jashan Eison, Wade Gjervold, and Carolee Peterson for your service on the Board. CPYHA is looking for dedicated volunteers to fill a variety of positions for the 2019/20 Hockey Season. Are you are interested in becoming a board member or leading a COMMITTEE as DIRECTOR/COORDINATOR, or contributing as a COMMITTEE MEMBER? If so, please complete the online 2019 Volunteer Application. Once your fine is paid, you will be credited the hours that you missed. Please show up for your shifts. We need people working in the concession stand – there are plenty of people who want those hours! Please be considerate of others who have to stay late because you do not show up. 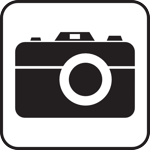 Do you have a team photo that you would like to post on the website? CLICK HERE to email. ©2019 Champlin Park Youth Hockey Association / SportsEngine. All Rights Reserved.